Are your job applications going straight in the trash can? behind you and secure that interview. 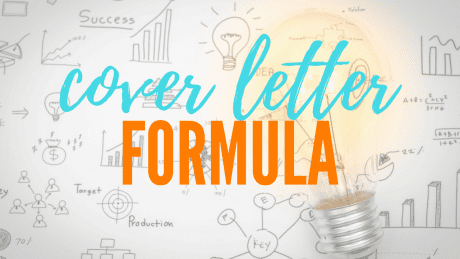 Just a few minor changes to your cover letter could get recruiters reaching for the phone and inviting you to an interview. Applying for jobs can be a frustrating, time-consuming experience. If you feel like you're applying for job after job but getting no job interviews, it's time to take action to stand out from the rest. Our expert copywriters can transform your cover letter and help you present yourself in the best possible light. Screenshot: Sample of Vappingo's cover letter editing services: In progress. Get professional help and guidance from native English experts who know exactly what it takes to write compelling cover letters that leave recruiters wanting to learn more. Take advantage of 24/7 ordering to get the help you need, when you need it. Check the status of your order or contact your editor instantly online. Relax in the knowledge we are doing exactly what we said we would do. Cover letter editing from just $5.00 per page. Our fully transparent pricing structure means you only pay for what you need. There are no hidden fees or minimum payments. Just a simple and affordable per-word charge. Work directly with your editor and enjoy access to unlimited revisions so that you can refine and adjust your cover letter until you are 100% satisfied with it. You can breathe easy in the knowledge that you have absolutely nothing to lose with Vappingo. If you're not happy with the quality of the work you receive, you can ask for your money back in full with our money-back guarantee. Pay via a fully secure online system that employs the same technology as banks to protect your personal information. You can order cover letter editing services without sharing your payment information directly with us. Choose what you want from the simple drop-down menus. The price for editing your cover letter will be automatically calculated. Pay using a fully secure online system. All information and data you provide during the order process is completely secure and fully confidential. Your cover letter will be edited and returned to you in as little as 24 hours. If it needs refining, you can get in touch with your editor to request a revision. My editor did a very fine work, communication over some "extra wishes" of mine went very smoothly and she reacted very quick and friendly. Excellent work and service! Brilliant service! Very easy to use - all very transparent. I will certainly be back and would recommend the service to anyone! Thank you. I have, by the way, often had the Vappingo team edit stuff for my job applications. And I have now finally started on a permanent contract - so I think I really have to say thank you to the wonderful Vappingo editors as well! Thank you! We have literally hundreds of testimonials from delighted customers who have used our editing and proofreading services. Check them out. Recruiters don't want to hear all about how great you are; they want to know what you can do for them. Learn how to write a cover letter that recruiters will actually be interested in reading with our handy guide to writing a cover letter. Want a break from writing your cover letter? Well, we've told you what should write about when applying for a job, how about taking a humorous look at some cringeworthy letters that really should never have been sent. This guy may have written the ideal cover letter. Apparently, he's quite simply the best candidate there is. One thing's for sure, if he is out to attract the attention of the recruiters, he will certainly achieve that! Last modified: February 12 2019 20:53:07. Cover letter editing Rated 4.95 / 5 based on 871 reviews.